Several months ago, Angela Maiers published a book called Classroom Habitudes. 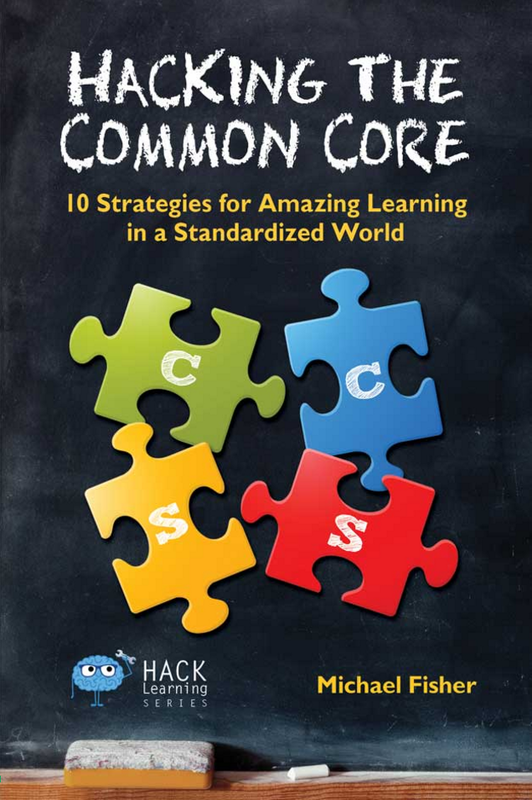 In it, she describes the Habits and Attitudes that students need to be not only 21st century learners, but critical thinkers, and effective leaders and collaborators--not just observers in their education. 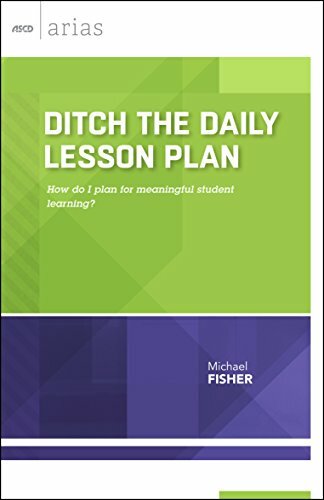 The ideas in this book empower both teachers and students to go the extra mile and I personally thought that it would be a unique frame for Professional Development as well. While all six of the Habitudes have application beyond the classroom, there are several that I feel really fit into developing the talent in school districts and ultimately having a huge effect on professional work that will help to sustain district efforts. Our overall goal is to have an impact on student achievement, but all efforts to that end must be through an aligned process. In the past, as a teacher, I would likely be one of the first people to tune out a staff developer who either wasn't engaging me, wasn't teaching anything that related to what my classroom needs were, or who patronized me with a "sage on the stage" presentation. Even at the beginning of my career, I recognized that a lot of the professional development I participated in would never impact my teaching. I had no connection to the presenter or the information they were presenting or was angry because I was made to feel inferior for not knowing what "Everybody should have known already." This is why district initiatives die. If there is no buy-in, if there is no vested interest in what is being offered to teachers, then there will be no sustainability, no long-run measures of impact for teachers or students. That is wasteful - in both time and money. 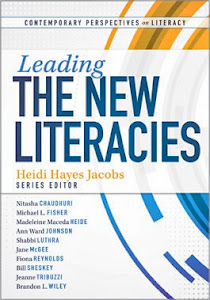 Like the frame in the Habitudes book, I want teachers, through their professional development, to commit to excellence, to have clear goals, to have courageous conviction, and to let their passion and imagination fuel their directions, dreams, goals and reflections. What better way to address perseverance than by developing the talent that already exists around you? Familiar faces with a known expertise and demonstrated success go a long way in building sustainable initiatives. When teachers know that they are going into professional development that already has built-in support and is specific to their needs, they find it easier to commit to incorporating ideas into their own instruction. They find it easier to set and achieve realistic goals and to develop a passion for bettering themselves within a group. Think about the last time you learned to do something new. Are you more likely to be a great learner if the frame is familiar to you and there is sustained support, or are you more likely to learn in isolation with information that may not be specific to your needs? I think that I should clarify that this particular Habitude is not necessarily about the perseverance of an individual, it's about the perseverance that districts need to sustain an initiative in a productive way. In order for professional development to be effective, to make it persevere, it needs to be specific, focused, familiar, and engaging, as that will be what ultimately makes the biggest difference for impacting student achievement. An essential part of the teaching experience is the collegiality and teaming aspect that affects overall student achievement. When teachers develop consistency in vision and focus and share resources, they move beyond the “isolationist or island” mentality and become part of a “continent” of facilitators and learners that are directed at doing what’s best for kids. Technology is making it easier and easier to “bridge the gaps” between teachers and making geographical location inconsequential to the ability to share, collaborate, organize, create, and network. Teachers can essentially develop their own capacity by building networks of like-minded folks that become the catalysts for many important changes. We ask kids to build knowledge bases in order to drive future instruction, why shouldn’t teachers be the model for that? When one speaks of their go-to group for enhancing their professional practice, they often refer to that group as a Personal or Professional Learning Network, or PLN. These groups, however, are usually face-to-face and may extend only as far as the school or district level. With technology, we can expand that PLN into a Digital Professional Learning Network or DLN / DPLN that includes a worldwide audience. The DLN capitalizes on the many available networking tools to connect educational professionals in ways that have never happened before. When you decide that you want to maximize your impact on student achievement, collaboration is the key. What you do alone may be good, but team efforts always yield a greater harvest. 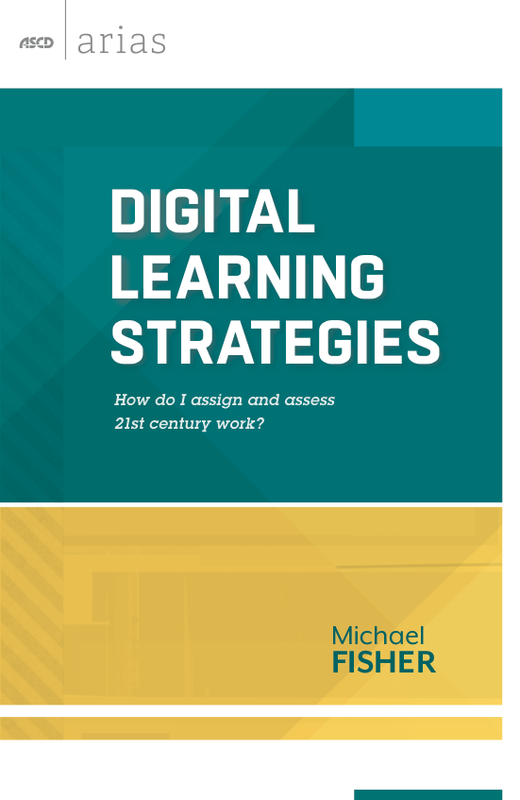 Additionally, developing your own Digital Learning Network directly aligns to the components three and five of ISTE's National Educational Technology Standards for Teachers (NETS) that describe modeling digital age work and learning as well as using technology to engage in professional growth and learning. (ISTE, 2008). It only takes one thing to get started. That’s right, JUST ONE THING. I was introduced to Twitter in mid-2008 and it has proved to be my go-to spot for instant help, links, and ideas. I use Twitter daily to find support from my network of teaching professionals, to ask advice, and to get instant links to things I am currently working on. 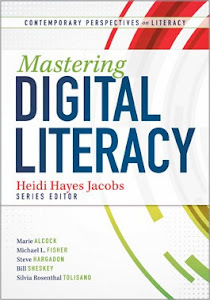 We are in a new era—a digital era that demands a new digital pedagogy. Remember, you don’t have to be an expert. All it takes is doing just one thing. This wiki will help you get jumpstarted on developing your own Digital Learning Network: http://progrowing.wikispaces.com On this site, you’ll find tutorials and resources so that you can pick your ONE THING and start building a professional network that is available 24 hours a day, seven days a week. Once all of this is set up, the only thing left to do is to jump in and get involved. Post your own messages, write your own blog thoughts, create a wiki, add links to your social bookmarks and invite others to see them. From there, become more deeply entrenched in your network by commenting on other's blogs, continuing a conversation on Twitter or Facebook, contributing to someone's wiki, and continuously searching for professionals to bring into your network, increasing its power with every addition. When you are looking for resources or help, your network may be able to provide you with just the opportunity you need at just the right time! Information excerpted from THIS article that I wrote with a colleague (Kate Ellis, that I met on Twitter, I might add!). Her blog is HERE. The next blog post will discuss building capacity by shifting attitudes around what we do as educators, emphasizing Angela Maier’s Habitudes and how we, as professionals, can do monumental things for kids! In a local school district that I work with, elementary school leaders wanted to implement the Six Traits of writing program. Trainers were brought in and teachers were trained, but the initiative just sort of fizzled at the beginning, for the most part. A couple of teachers that saw the value in the writing process that Six Traits offered decided to implement some of what they learned and began getting results in student achievement. The school leaders recognized this and made the decision to send these teachers to a national Six Traits training course. Upon return, the teachers were not only excited about what they were going to be able to do for their students, but also about teaching what they’ve learned to their colleagues. Over a couple of years, the building level leaders and even the district administration empowered these teachers to become turnkey trainers for the Six Traits initiative, turning a “drive by” model of staff development into a “sustained” model of ongoing professional support. The key points I want to underscore from this example are that 1) When school leaders empower their teachers to become leaders, great things happen; and 2) sustainability of a district initiative is much easier when it is supported locally and deeply by multiple stakeholders, not just administration. Janet Hale describes this as being both a servant and leader. 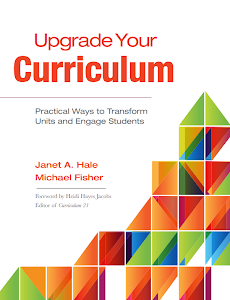 In recent conversations with her about curriculum mapping initiatives, we both agree that buy-in is essential when beginning ANY sort of district initiative, whether it’s Six Traits training, Curriculum Mapping, Common Assessment practices, etc. Unfortunately, mandating from the top down is a less inspiring catalyst for making changes. Instead of demanding that this or that be done, good leadership really becomes about creating a new group of leaders. That means inviting, empowering, and balancing the talents in a school district to get done what needs to get done without unraveling collegiality and morale in the process. In the Six Traits example, the school leaders recognized that developing the leadership capabilities of these teachers and allowing them to build the Six Traits initiative from the bottom up could best serve their interests. Meaning that typical “leader” roles were upended in favor of doing what’s best for everyone, especially and ultimately, for the students. The building level leaders “served” in a new capacity to develop a new group of leaders around their Six Traits initiative and everyone benefited. When schools decide to get on this or that wagon, or implement a new initiative through mass trainings, it’s important to understand the servant / leader mentality. 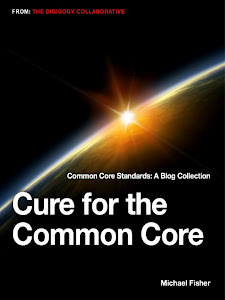 If district leadership is serving in a “Monarch” capacity, where things are mandated and dictated to the masses, how long will it take to launch a new initiative versus a more “Democratic” capacity where voices are heard, recommendations are listened to, and key players (teachers as new leaders in this area) are identified and trained to not only implement something new, but also to be the sustainable element, the “go to” folks to keep the initiative going? The key, then, to effective leadership and initiative implementation is to find those teachers in a district with the capability to lead. All that is usually required to develop those leadership skills is positivity, affirmation and a chance to do so. Think of the great things schools could accomplish by developing their teachers’ talents, creating a new group of leaders to support ongoing initiatives, and producing a symbiotic model where everyone serves the needs of everyone else to the benefit of all, especially the students. In the next post, I’ll talk more about collegiality and developing professional learning networks that extend beyond the school and into the global arena, which will help to continually support teachers as they discover their own capacity to lead. This is the first in a series of blog posts about harnessing the internal talent of a school district. When a school system decides that they really want to affect change and systemic improvement, it’s important to tap into the most valuable resource they have: each other. I realize I may be shooting myself in the foot a bit with this, but sustainability and empowerment are key to building second order changes, or changes that are going have a lasting effect. While I enjoy going into a district and working with teachers, there is always a concern about sustainability. Especially when dealing with instructional technology. I like my job, and my frame for doing what I do has always been doing what’s best for my students. In my current capacity, “students” is more far reaching than ever before. Doing what is best is not about facts, or show and tell, or drive by “wow” sessions. It’s about shifting the thinking of those you are teaching. That means I’m talking about intentional transformations from what once was to what will be with an eye that is more deeply fixed in process than product, and ultimately how those transformations are going to impact student performance. 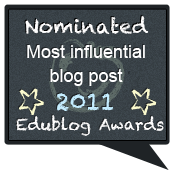 Over the course of the next few blog posts, I’ll be writing about the importance of what Janet Hale calls “servant leaders.” I’ll be discussing the collegiality that is necessary to create a vibrant and sustainable Professional Learning Network at both the school level and then expanding globally with Digital Learning Networks. Additionally, I’ll be discussing these transformative events in terms of Angela Maier’s Habitudes, as attitude is everything when shifting paradigms. I’ll also be sharing the seven steps to building capacity in a school district and making the most of a district’s varied (and surprising) talents! FlipBook - Draw. Play. Share.